Smith N.A., Kress B.T., Lu Y, Chandler-Militello D, Benraiss A, and Maiken Nedergaard. Fluorescent Ca2+ indicators directly inhibit the Na,K-ATPase and disrupt cellular functions. Sci. Signal. 11, eaal2039 (2018). Gee J. Michael, Smith N.A., Fernandez F.R., Economo M.N., Brunert D., Rothermel M., Morris S.C., Talbot A., Palumbos S., Ichida J., Shepherd J.D., West P.J., Wachowiak D.M., Capecchi M.R., Wilcox K.S., White J.A., and Petr Tvrdik. Imaging Activity in Neurons and Glia with a Polr2a-based and Cre-dependent GCaMP5G-IRES-tdTomato Reporter Mouse. Neuron (2014) (Cover) 83 (5), pp.1058-72. PMID: 25155958. Fujita T., Chen M.J., Li B., Smith N.A., Peng W., Sun W., Toner M.J., Kress B.T., Benraiss A., Takano T., Wang S., and Maiken Nedergaard. Neuronal transgene expression in dominant-negative Snare Mice. Journal of Neuroscience (2014) 34(50), pp. 16594-16604; doi: 10.1523/JNEUROSCI.2585-14.2014. PMID: 25505312. Wang F, Smith N.A., Xu Q, Goldman S, Peng W, Takano T, and Maiken Nedergaard. Photolysis of Ca2+, but not receptor mediated Ca2+ signaling triggers astrocytic glutamate release. J Neurosci. (2013) 33(44), pp. 17404-12. PMID: 24174673. Thrane V.R., Thrane A.S., Wang F, Cotrina M.L., Smith N.A., Chen M, Kang N, Fujita T, Nagelhus E.A., and Maiken Nedergaard. Ammonia triggers neuronal disinhibition and seizures by impairing astrocytes potassium buffering. Nature Medicine. Nat Med. (2013) 19(12), pp. 1643-8. PMID: 24240184. Wang F, Smith N.A. (Co-First author), Xu Q, Fujita T, Baba A, Matsuda T, Takana T, Bekar L, and Maiken Nedergaard. Astrocytes modulate neural network activity by Ca2+-dependent uptake of extracellular K+. Signal. 5, ra26 (2012). PMID: 22472648. Lovatt D, Xu Q, Liu W, Takano T, Smith NA, Schnermann J, Tieu K, and Maiken Nedergaard. Neuronal adenosine release, and not astrocytic ATP release, mediates feedback inhibition of excitatory activity (2012). PNAS March (2012) PMID: 22421436. Fujita T, Williams Ek, Jensen TK, Smith NA, Takano T, Tieu K, and MaikenNedergaard. 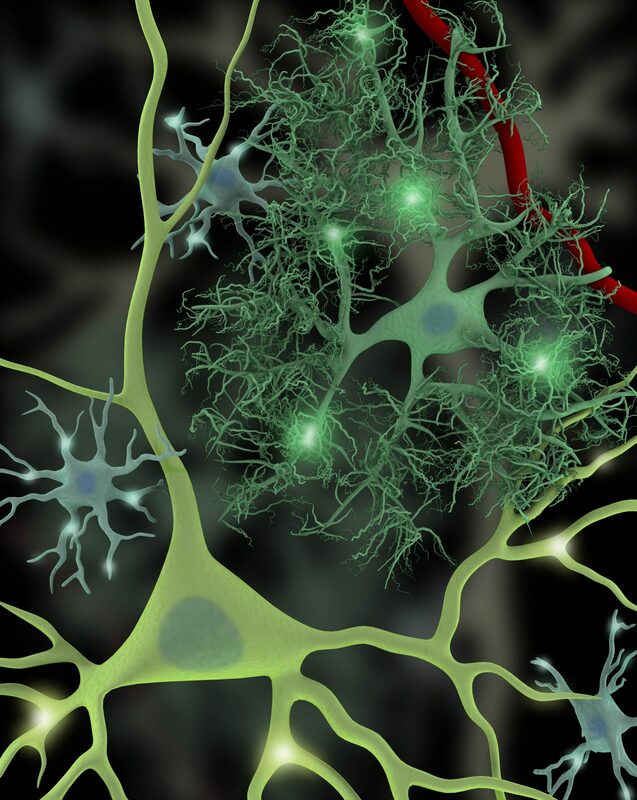 Cultured astrocytes do not release adenosine during hypoxic conditions. Cereb. Blood Flow Metab. January (2012) vol. 32(1), pp. e1-7. PMID: 21989480. LA Kaback, Do Y. Soung, Amish Naik, Nathan Smith, Edward M. Schwatz, Regis J. O’Keefe, and M. Hicham Drissi. Osterix/Sp7 Regulates Mesenchymal Stem Cell Mediated Endochondral Ossification. Journal of Cellular Physiology. Jan (2008), 214(1), pp. 173-82. PMID: 1759353. Yong-Jun Wang, Chong-Jian Zhou, Oi Shi, Nathan Smith, and Tian-Fang Li. Aging Delays the regeneration process following sciatic nerve injury in rats. Journal of Neurotrauma. May (2007) 24 (5), pp. 885-94. PMID: 17518542. Smith, N.A., Dong, Y, Lian, J.B., Prata, J, Kingsley, P.D., Van Wijnen, A.J., Stein, J.L., Schwatz, E.M., O’Keefe, R.J., Stein, G.S., and M. Hicham Drissi. Overlapping Expression of Runx 1 (Cbfa2) and Runx 2 (Cbfa1) Transcription Factors Support Cooperative Induction of Skeletal Development. Journal of Cellular Physiology. (2005) 203, pp. 133-143. PMID: 15389629. December 4, 2017: Dr. Nathan A. Smith was appointed to Principal Investigator and Assistant Professor of Pediatrics, Pharmacology, and Physiology and at Children’s National Health System and George Washington University School of Medicine and Health Sciences. Dr. Nathan A. Smith received notice that his NIH NINDS Faculty K01 award will be funded Feb. 2019.